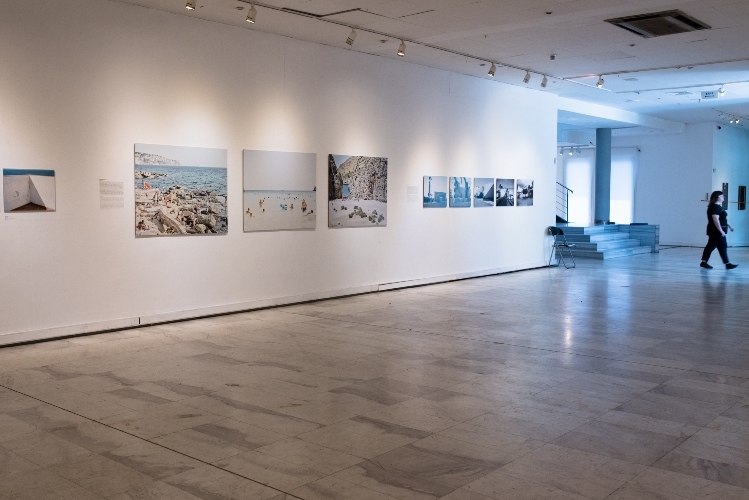 The URBAN LAYERS exhibition in Thessaloniki was presented at the same time with Another life: Human fllows / Unknown Odysseys, a photographic exhibition showed inside the Museum with the images by most important greek photo reporters, about migration to Greece and from there to North European countries. 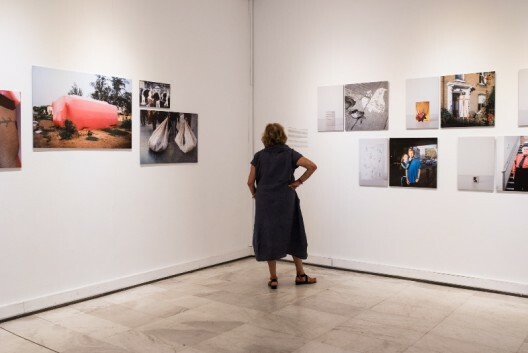 In that way a dialogue between the two exhibition was established: photographs for the press and artists’ works could look at the same issues from different points of view and using with different languages. 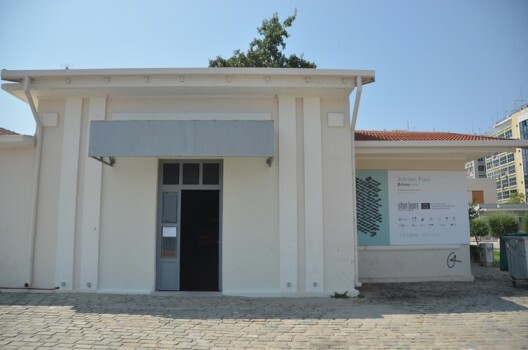 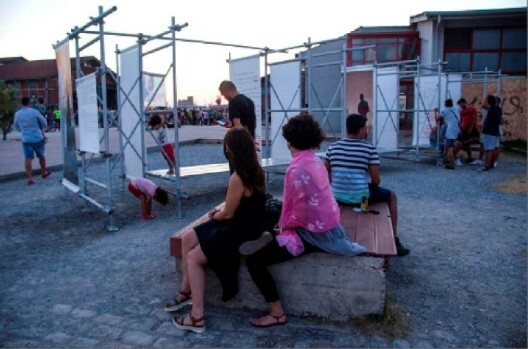 A. Artworks from Gibellina Residency Program were presented on the Pier A of Thessaloniki Harbour, just in front of the Museum’s entrance, using the structures designed by Málaga students. B. Adrian Paci work, the projection of the video Britma, was showed in an indoor place also in the harbour: the small and beautiful central room of the Old Pump House. C. Prints from the 10 artists participating to the second international call were mounted on a rigid board and displayed in a room of the Makedonian Contemporary Art Museum..